At Le Port de Plaisance campsite, we have only one philosophy! That is to make your holidays unforgettable! Your satisfaction is our priority. That's why we make numerous shops and services available to you during your stay with us. 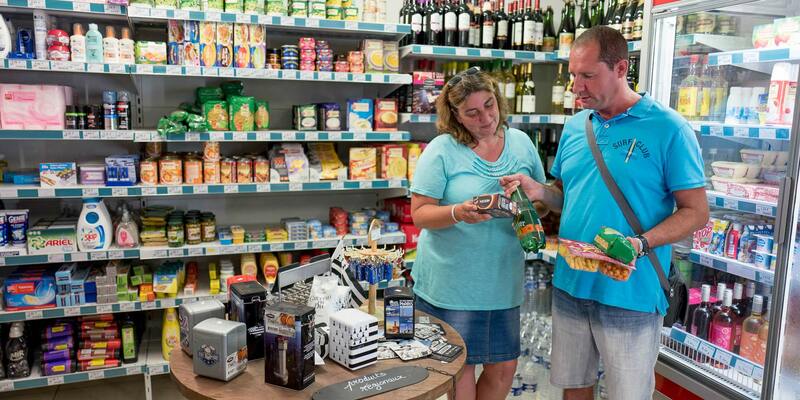 Among these is our grocery store which is open every day from 8am! Fresh bread and other delicious pastries are there for you from dawn, so no worries for those who, even on holiday, have their breakfast very early. In addition to basic products and beach accessories, the campsite grocery store also has a press stand where you can find local, national and international newspapers. Are you hungry? 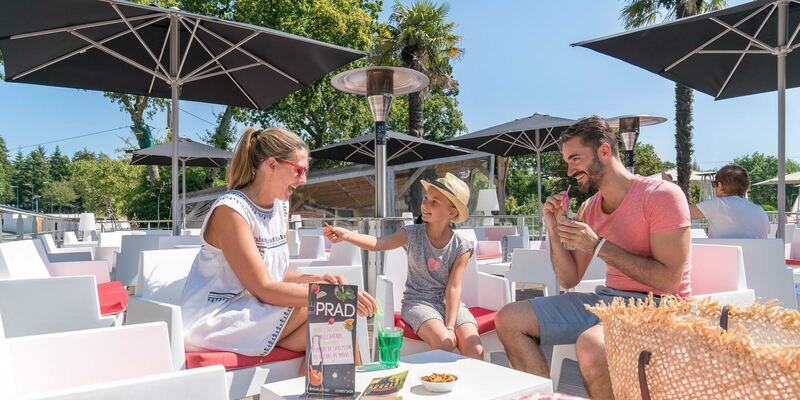 Come to "Le Prad", the campsite’s bar and restaurant area, open all season long. Not very hungry? Our resort also has a snack bar to make your life easier! 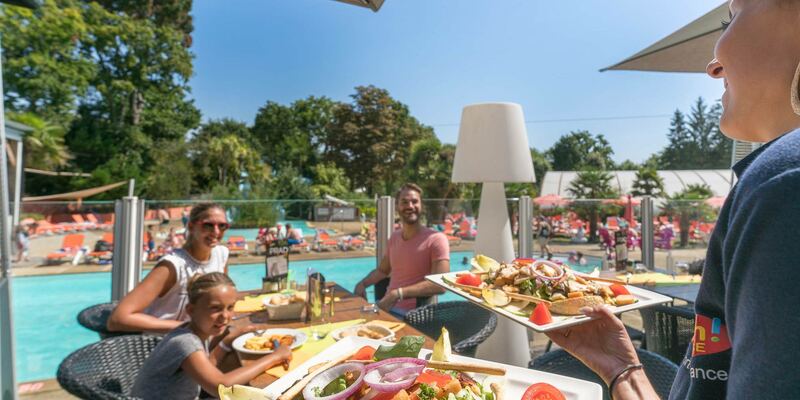 Eat in or take away, Le Port de Plaisance snack bar offers a wide range of tasty dishes and formulas at low prices: pizzas, chips, rotisserie and fast-food. 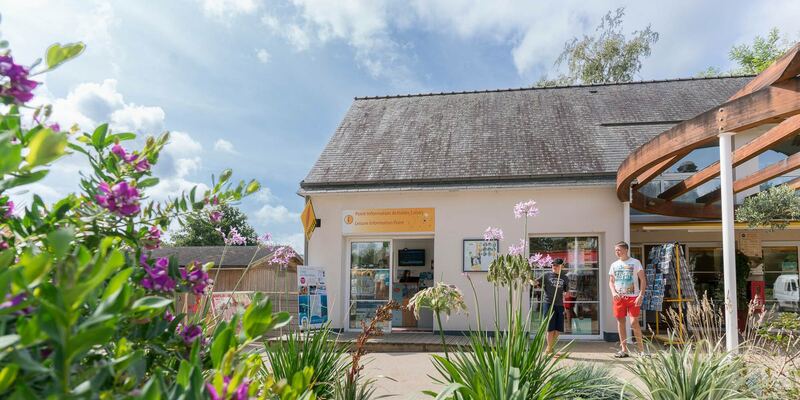 Other shops and services are available to you on site, including a laundry, equipped with several washing machines and dryers, as well as an information point and ticket office. For example, you can buy your tickets for a cruise around the Glénan archipelago. 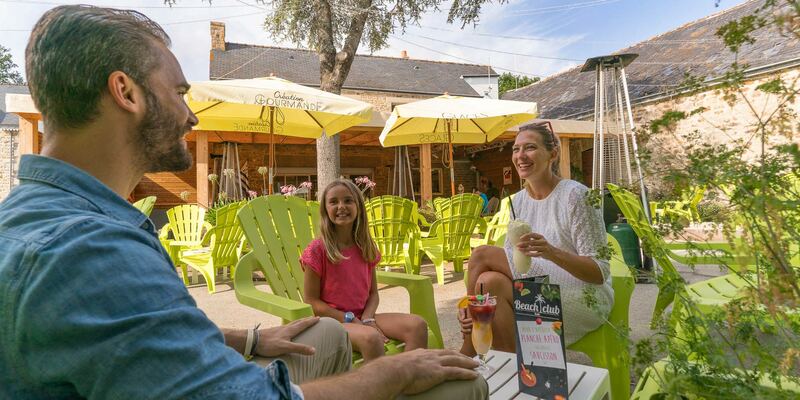 A whole range of services to make your holidays in Bénodet unforgettable!